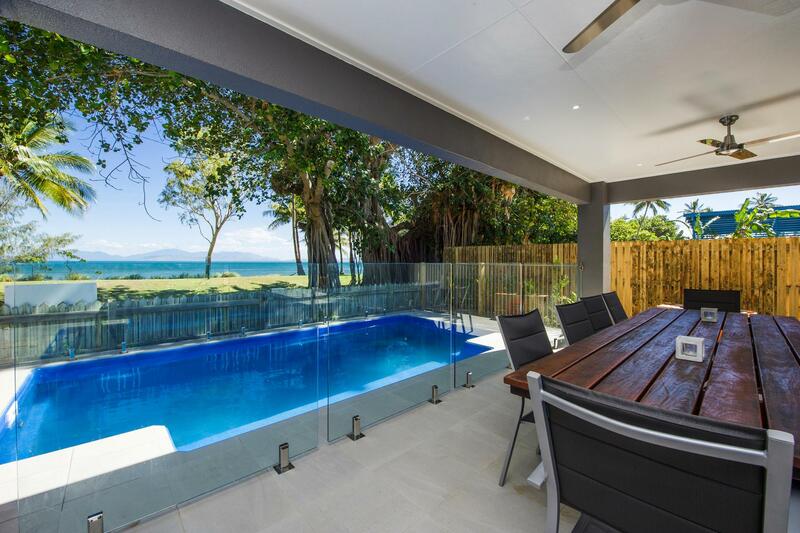 Best of Magnetic - Beachfront Holiday Home with income! 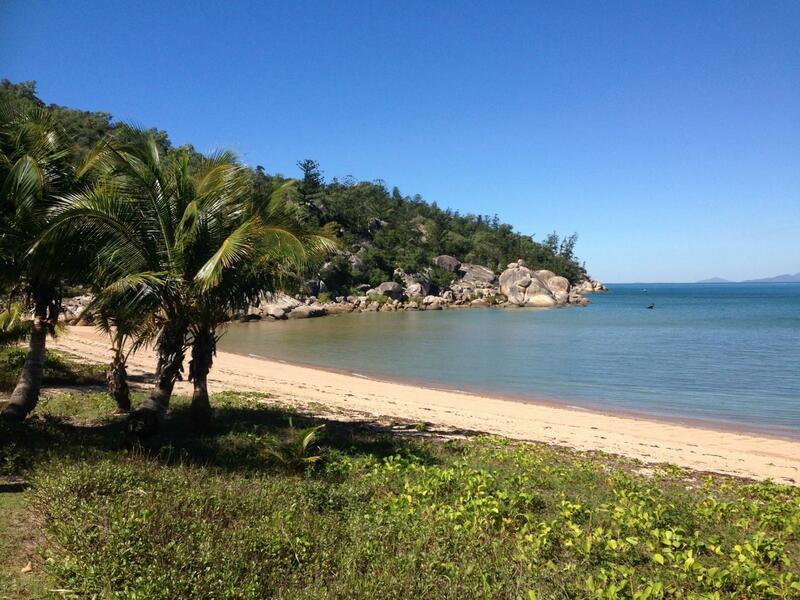 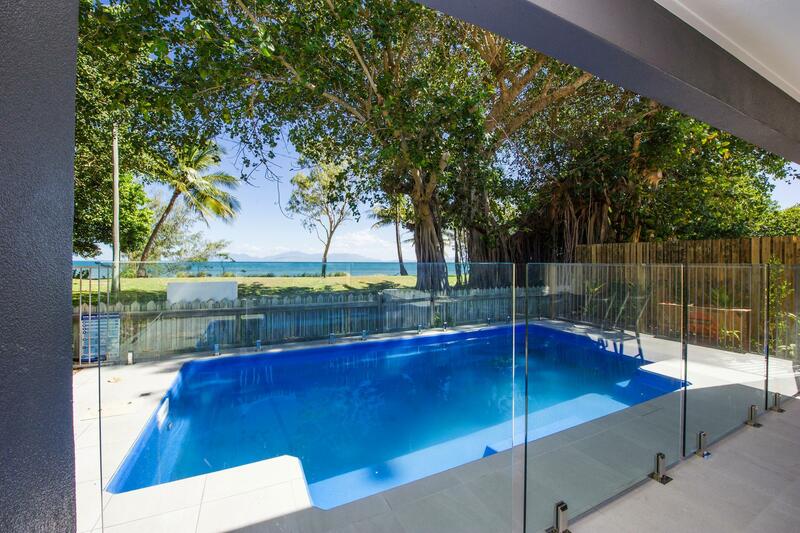 Beachfront Holiday Home with income! 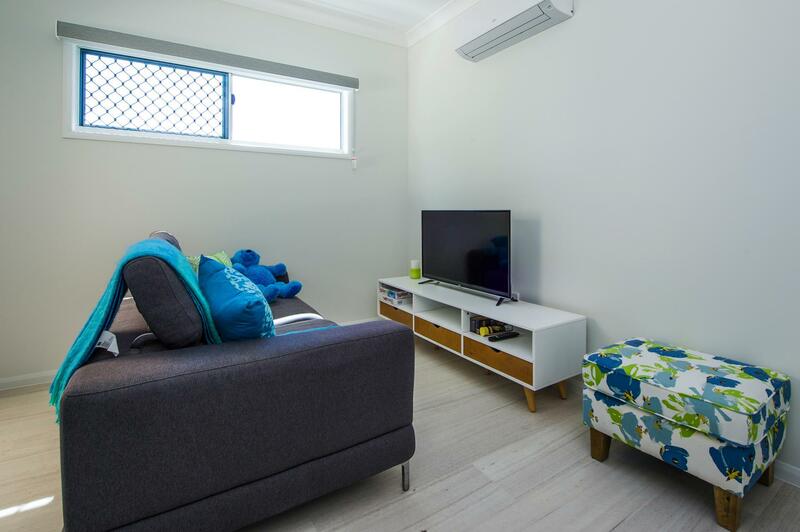 Just one year old, this popular holiday home was purpose-built to maximise income and is offered fully furnished with future bookings in place. 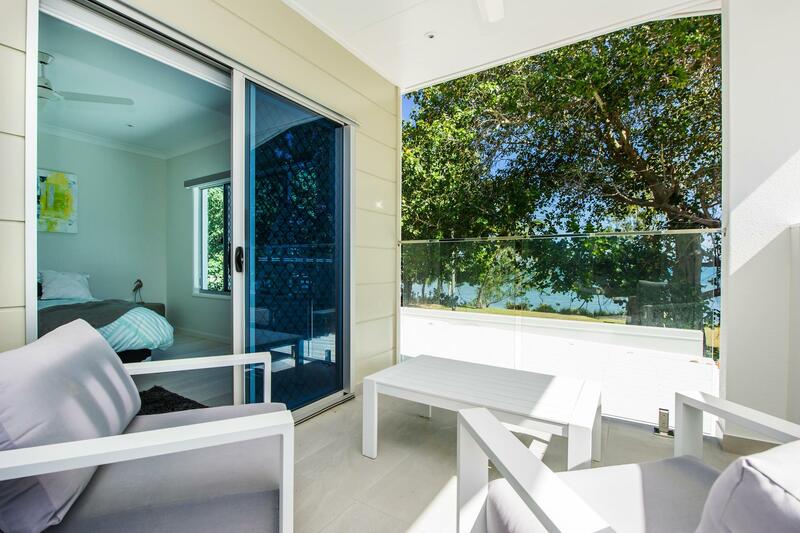 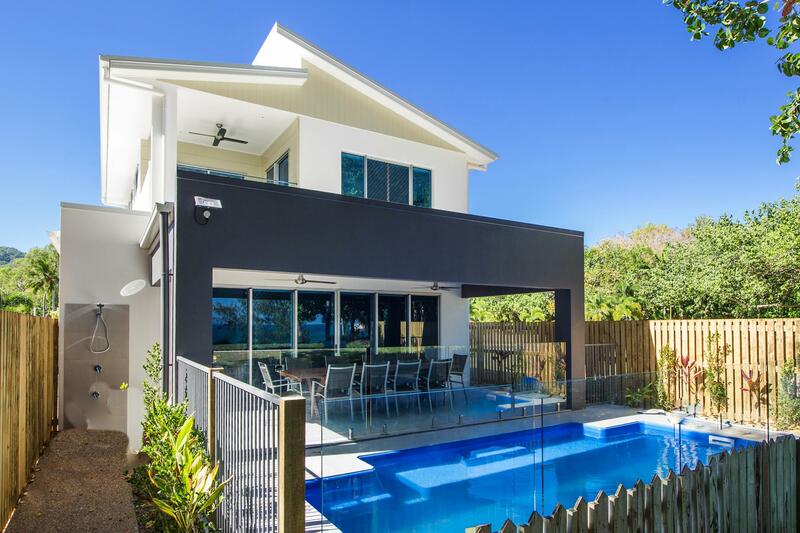 Boasting stunning beach and water views, step out the front of your beach house and the sandy beach is right there - no roads to cross, just a pleasant grassed area where you can relax in the shade of one of the enchanting fig trees. 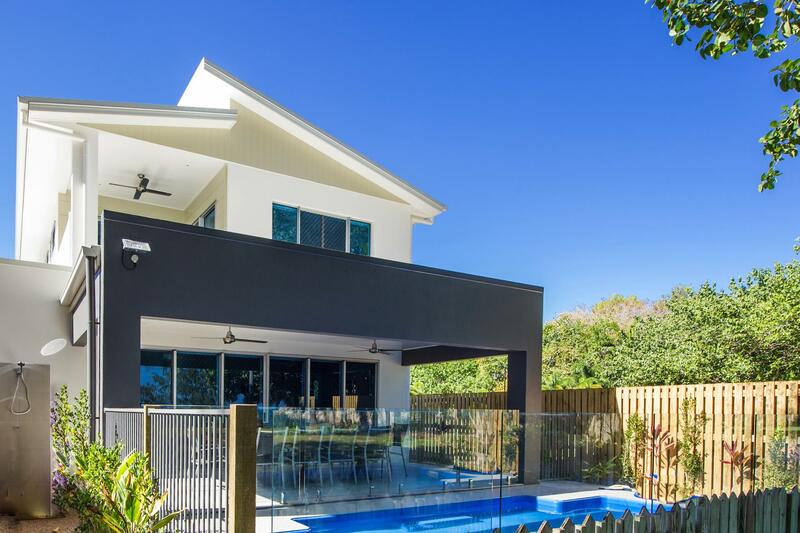 Located within the gated 'The Beach' small subdivision, the driveway entry is to the rear with plenty of parking plus a lock-up garage ideal to leave a boat or car, kayaks, bikes etc. 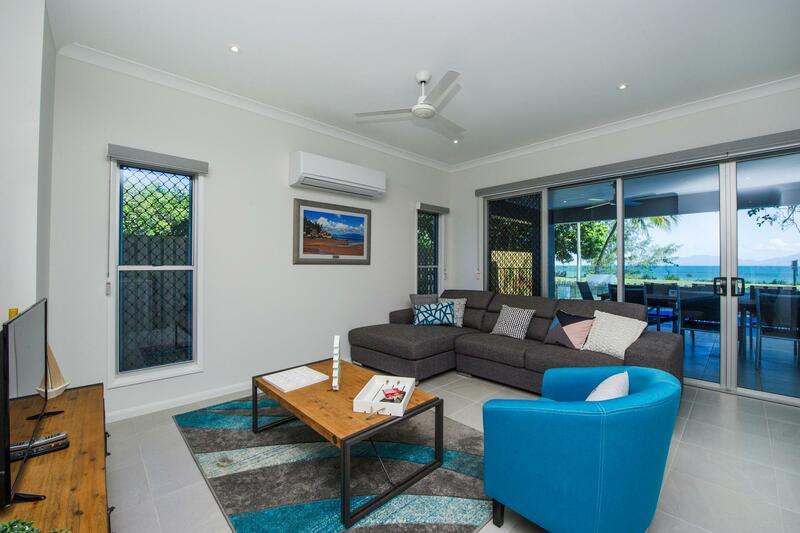 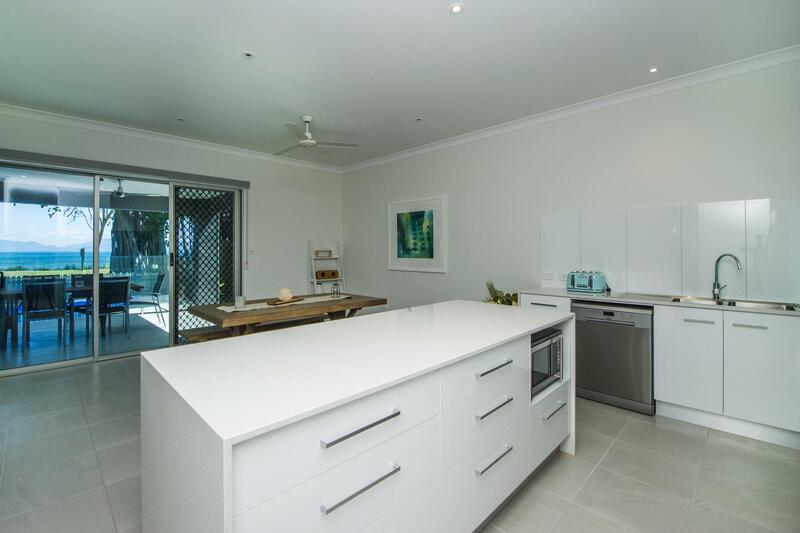 Entering through the front door, your eyes are immediately drawn through to the living area and beyond to the brilliant blue of the Coral Sea. 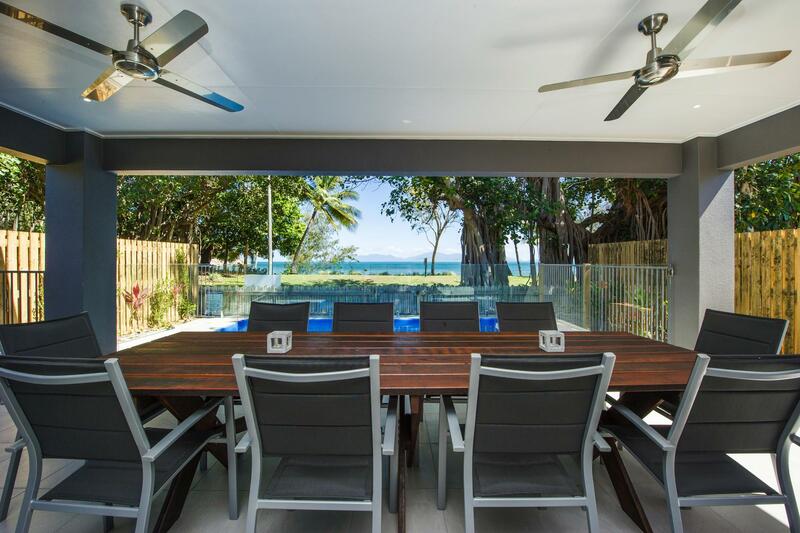 The open-plan living area opens up onto a large covered patio which in turn looks over the pool to the beach. 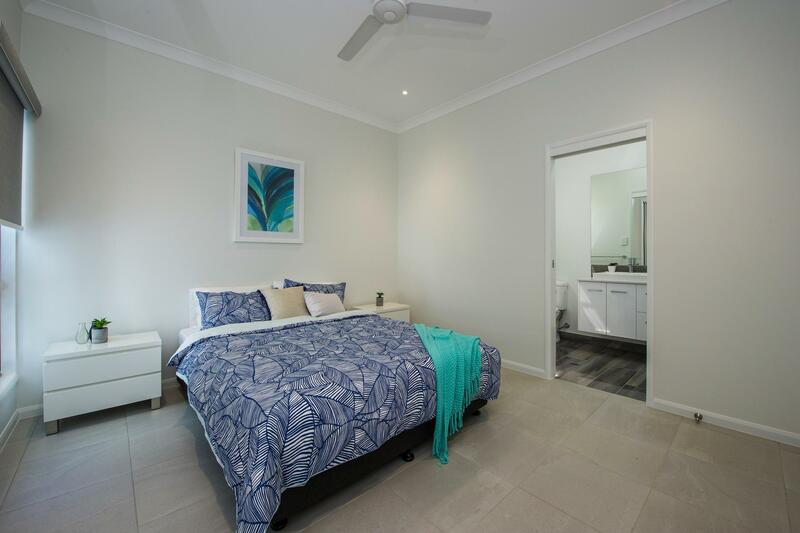 Downstairs is more than adequate to live in on its own, if you are looking to retire here on one level but still want room for guests and grandchildren. 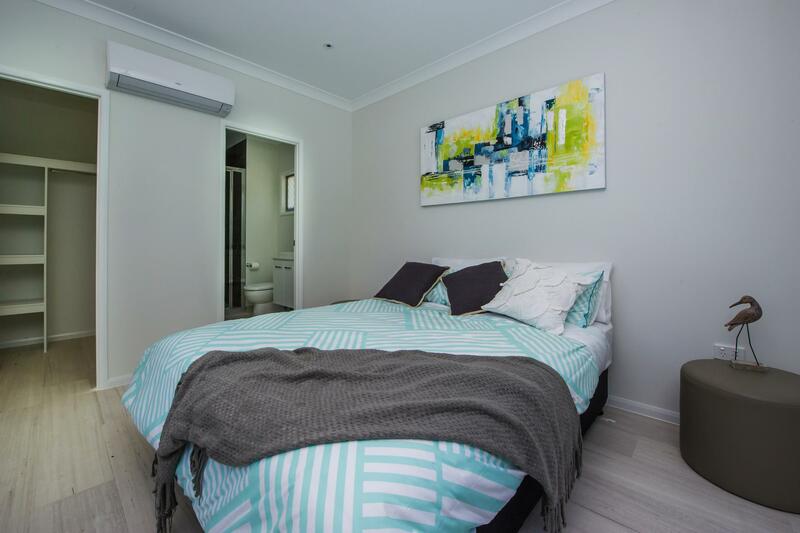 Or if you are intending to continue holiday letting, there's no problem bringing the grandparents who can comfortably stay downstairs. 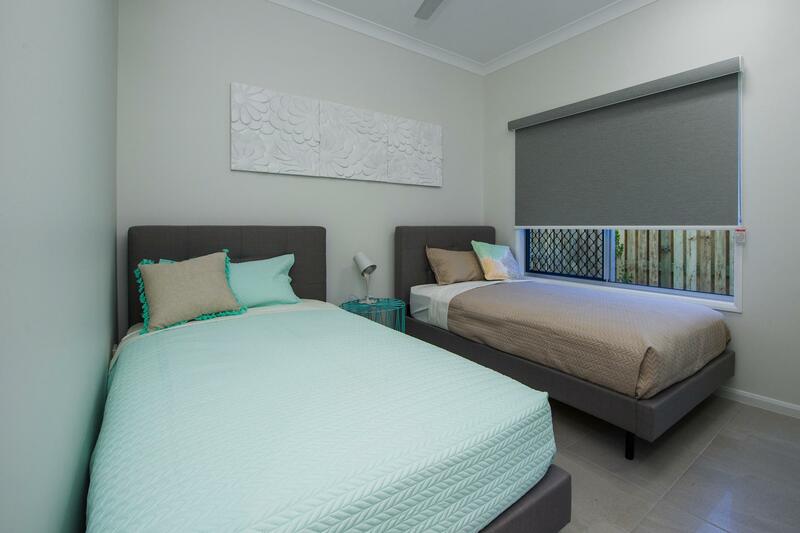 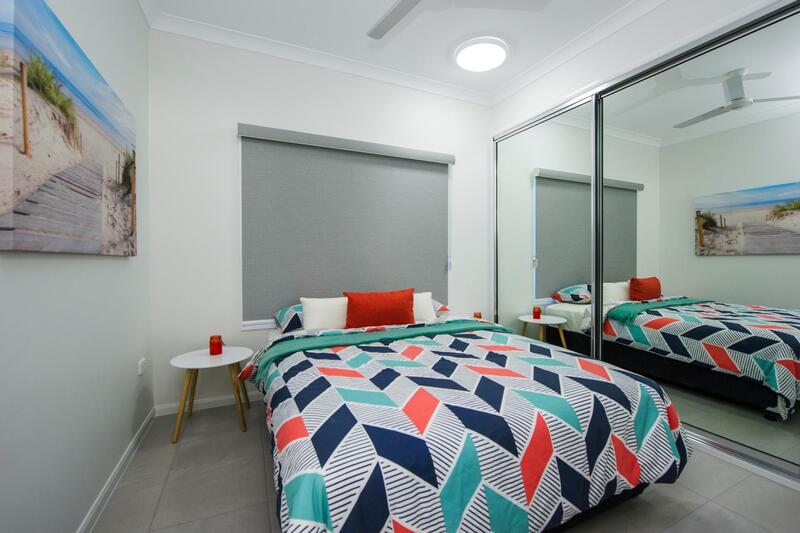 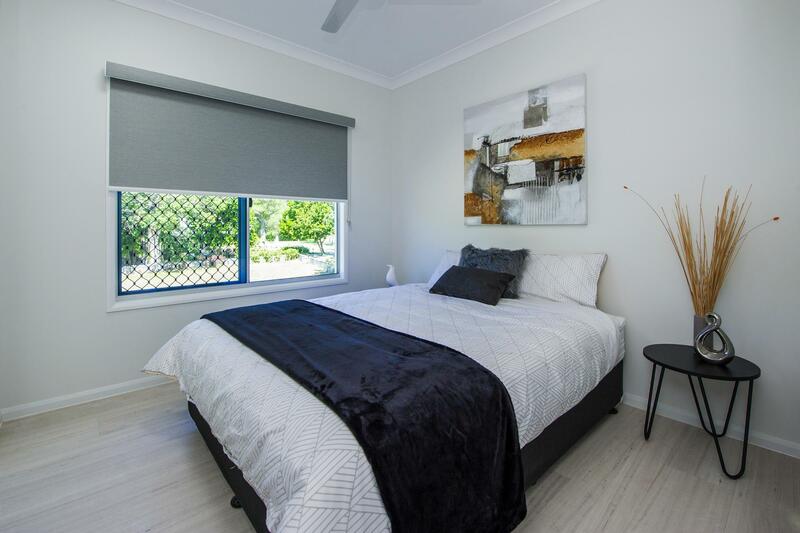 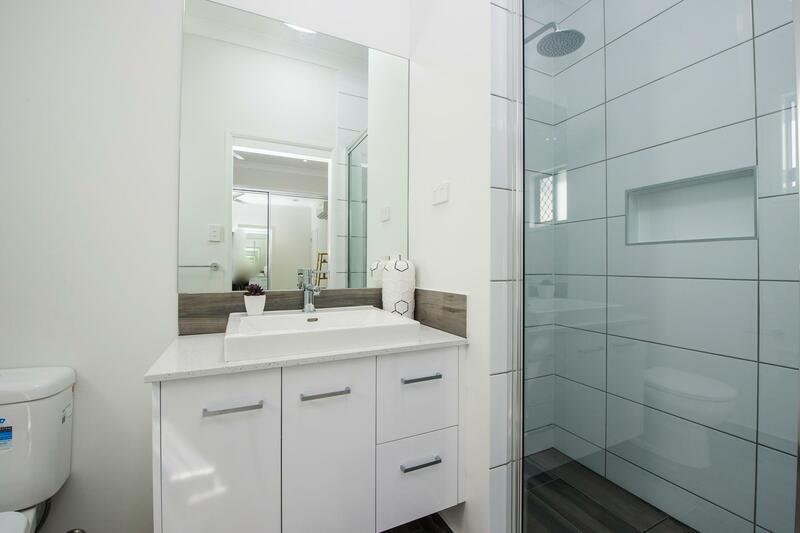 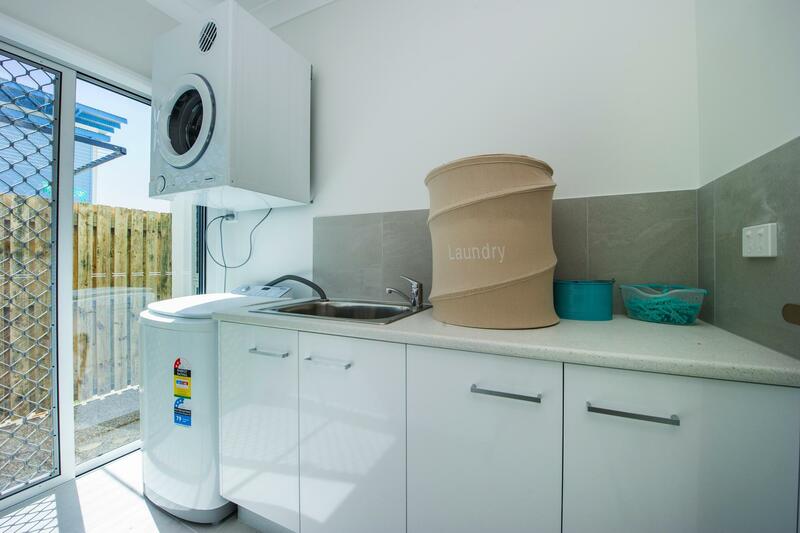 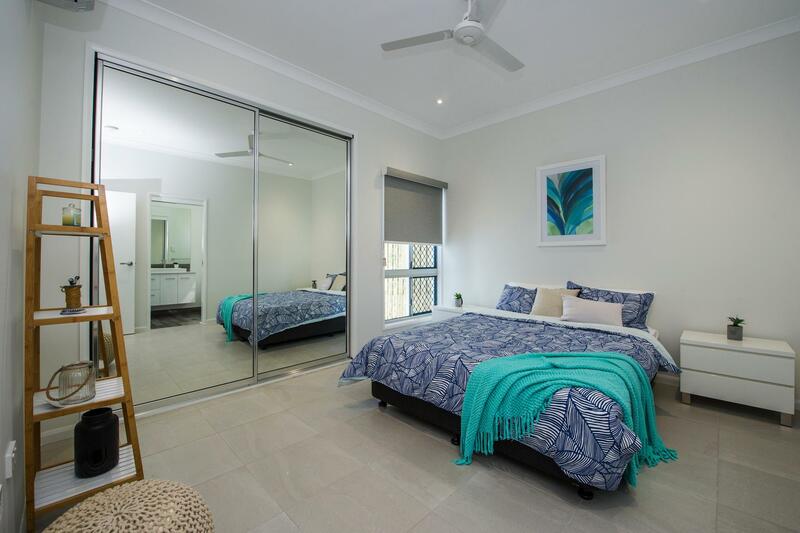 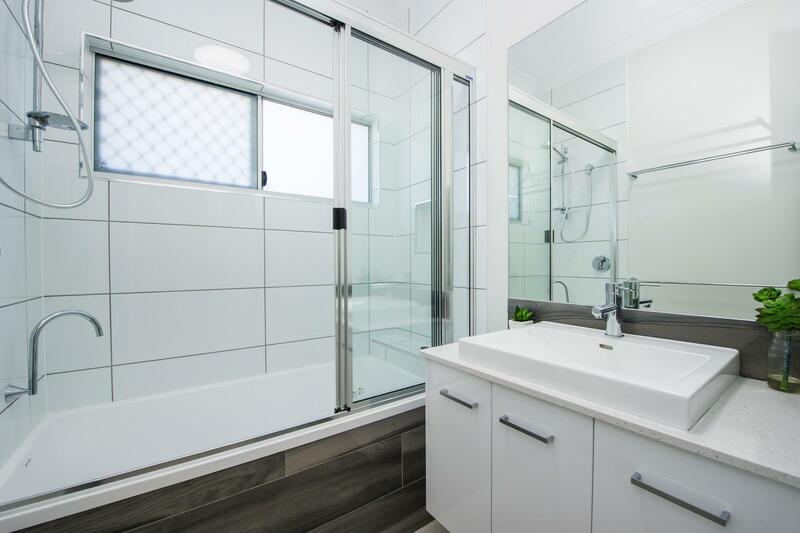 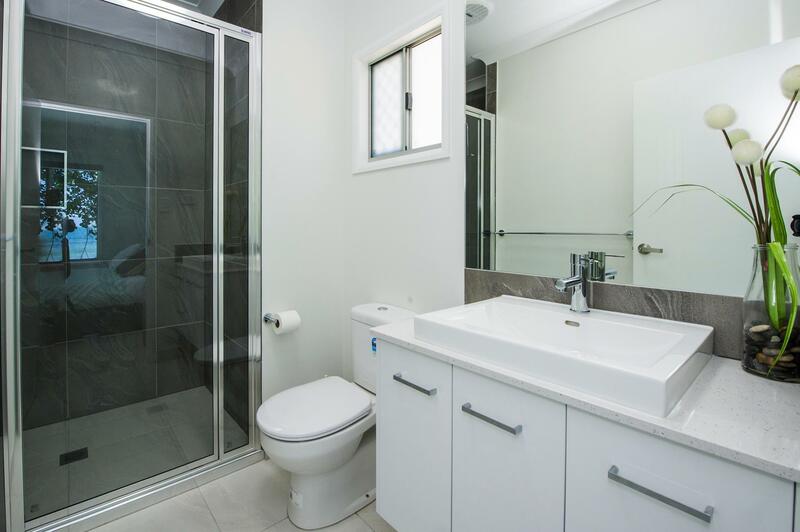 There is a ground level master bedroom with ensuite bathroom and a further two bedrooms, all with built-in-wardrobes, air-con and ceiling fans, family bathroom and a powder room, plus the laundry as well. 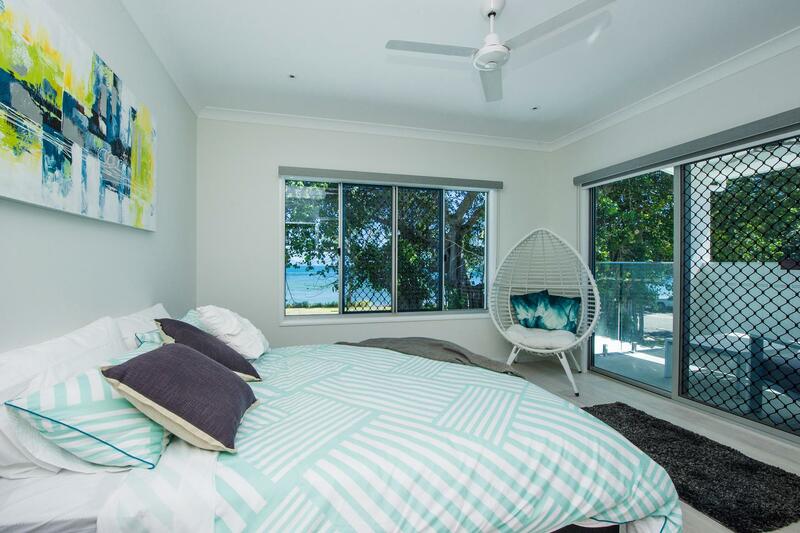 Upstairs is the main master bedroom with ensuite bathroom, walk-in-wardrobe, gorgeous water and beach views, and access onto the upstairs deck which is also accessed from the upstairs rumpus/office/lounge. 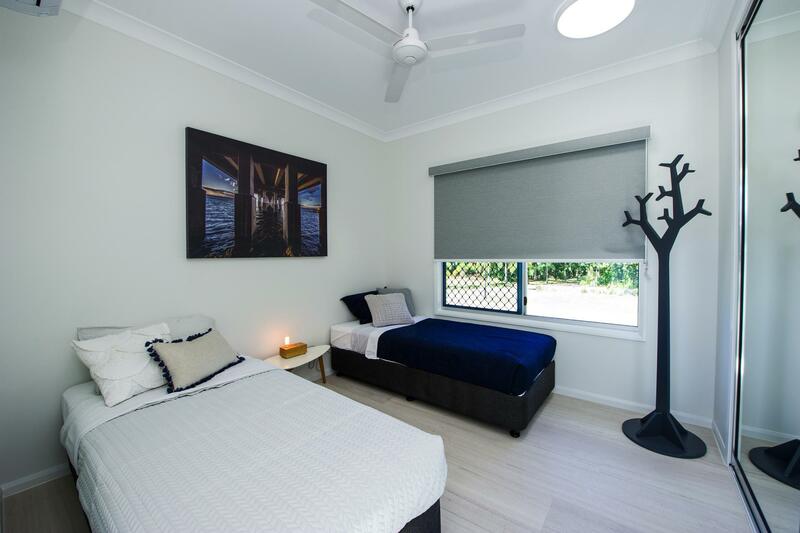 Two further bedrooms and another family bathroom means that this house very comfortably accomodates at least 12 people, allowing for family gatherings with room for all. 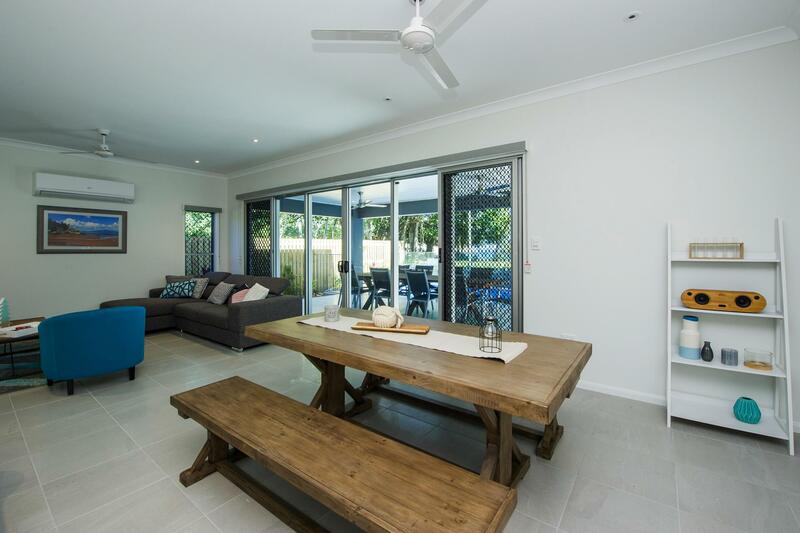 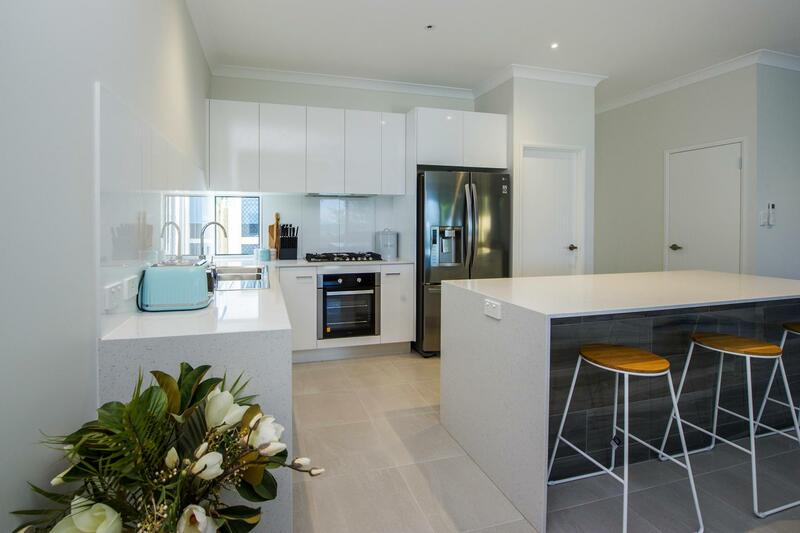 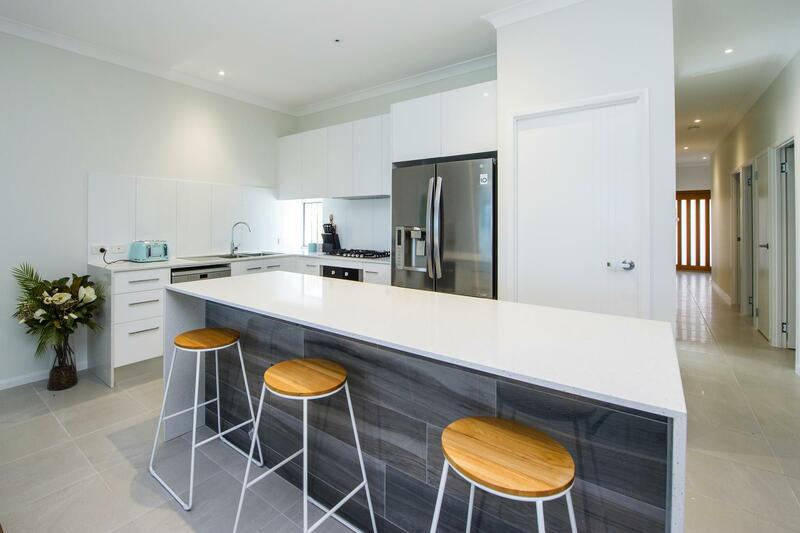 This is a very well-designed home, perfect for holiday rental, or very comfortable living, at an exceptional price for a near new home, offered fully furnished and ready to walk into. 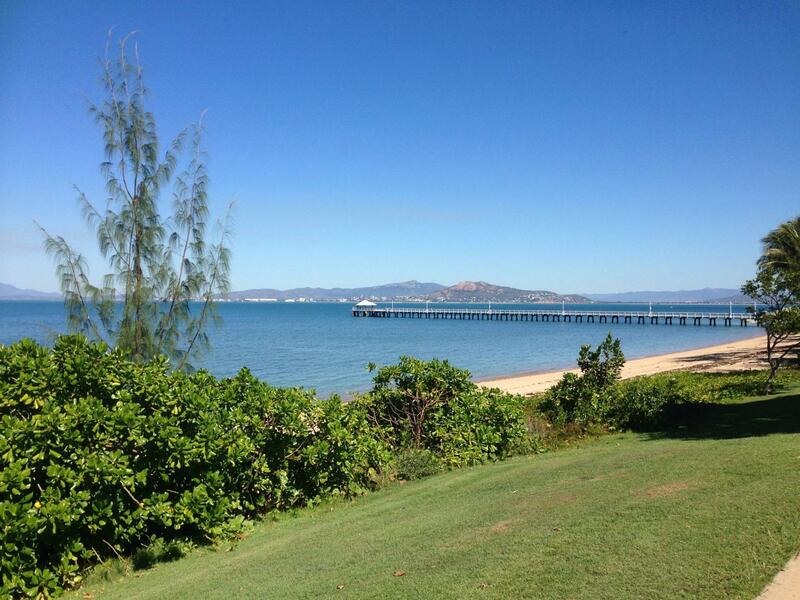 Stroll along towards the picturesque jetty and call in at a cafe or the pub, catch fish off the jetty, play golf at the Picnic Bay Country Club or go for a swim at the surf club. 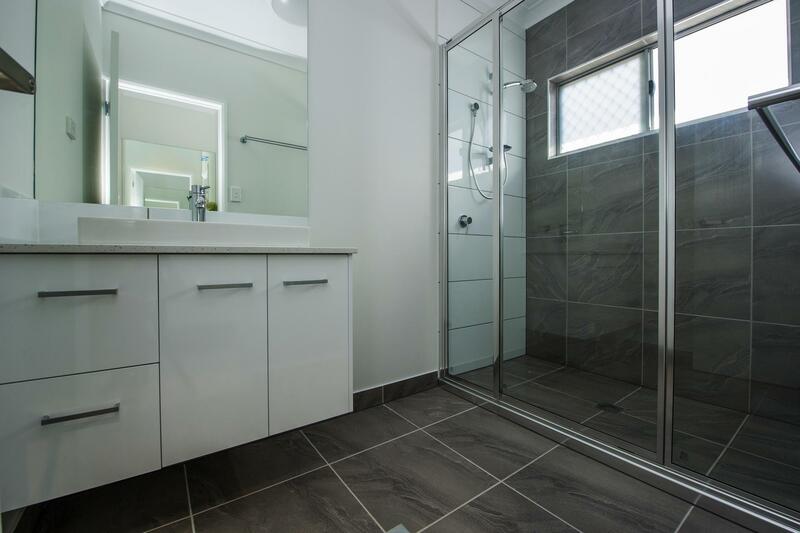 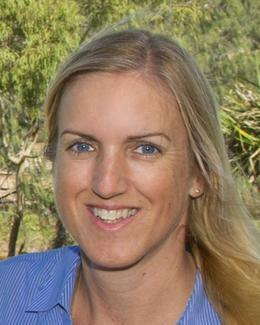 Call Alex for further information or to arrange a private inspection by appointment.